Is Obama Punishing the GOP Because He’s Mean? Even as they grudgingly have come to accept that they can’t prevent the expiration of the Bush tax cuts for the rich, Republicans have increasingly started explaining this pitiable state of affairs to themselves as the product of President Obama’s unique malevolence. The operating theory here is that Obama is not demanding higher taxes on the rich because it advances his public policy goals. 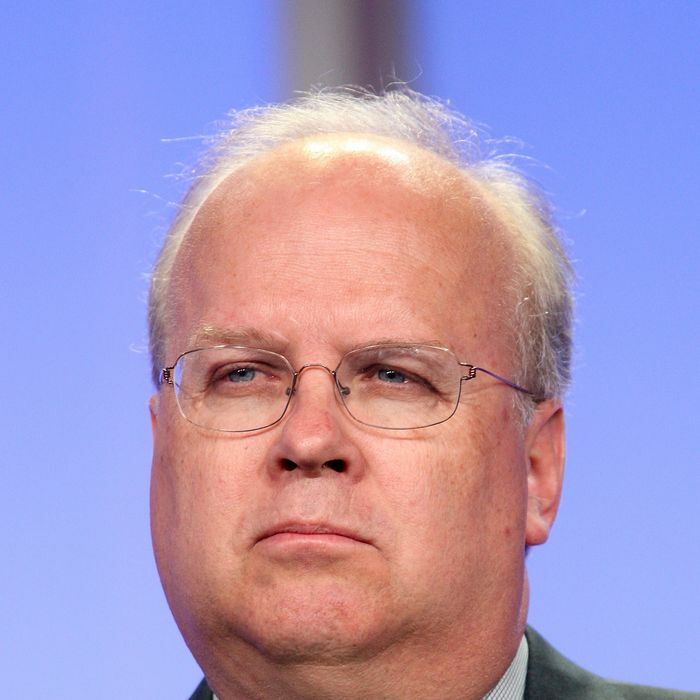 No, his goal, writes Karl Rove today, is to “kick off a Republican civil war.” This odd theory has likewise found expression from Charles Krauthammer (“Obama’s objective in these negotiations is not economic but political: not to solve the debt crisis but to fracture the Republican majority in the House,”) Peter Wehner, and other luminaries of the right. The psychology on display here is familiar to anybody who has seen a petulant teenager, who assumes that any restriction that causes them to feel anger must have been intended to produce that emotion. Republicans are feeling humiliated and divided, so Obama’s goal must have been to humiliate and divide them. But this odd, self-pitying belief is also the product of the party’s endemic difficulty at grasping budget math. Since many Republicans genuinely seem not to understand why Democrats insist on raising taxes on the rich, let me explain. Having observed the fiscal debate within the Democratic party quite closely for a long time, I can assure you that humiliating the GOP has nothing whatsoever to do with the Democrats’ goal of raising taxes on the rich. The United States, in comparison with other advanced countries, has meager levels of social services, retirement benefits, and public infrastructure. It also has extremely high levels of income inequality. It is very hard to bring revenue and outlays closer into line without cutting programs that are already set at low levels and without also exacerbating income inequality. Raising taxes on the rich, within reason (and Democrats justifiably think that restoring a 39.6 percent top marginal tax rate is within reason) is the one way to avoid the basic conundrum. When your deficit-cutting options include grim choices like potentially raising the Medicare retirement age, or other things that could impose real pain to vulnerable people, every additional dollar that allows you to close the gap with less pain becomes precious. A related and more subtle complaint, raised by Rove today, is that Obama should accept his revenue goals through tax reform rather than raising tax rates. But as Gene Sperling and Jason Furman, two of Obama’s policy advisers, have explained, there just isn’t as much revenue available this way as Republicans think. And even that limited amount of revenue represents a kind of theoretical ceiling — in reality, special interests are likely to prevail on Congress to carve out protections for themselves from any reform, lowering the revenue gain from its already low ceiling. There’s just no other way to get enough revenue without raising rates. It’s certainly true that Republicans are undergoing some internal strife right now over the tax issue. Daniel Henninger, also on the Journal editorial page, mourns that the president is “dismantle[ing] their party by letting its most basic conservative principles disappear.” But how this is Obama’s fault, I can’t quite figure out. It was Republicans who elevated the unpopular cause of low income tax rates for the rich to a sacred principle, built an entire party theology around punishing even the slightest dissent from that principle, and then enacted the sacred agenda through a rickety budget mechanism that caused it all to expire after a decade. That was a bad idea. Since Republicans are at least considering how to rebuild their party at the moment, my advice would be to do something else next time.